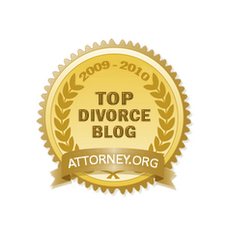 Divorce and Family Law in Tarrant County, Texas: When Not to "Do It Yourself"
As the first Family Law Blog in Tarrant County, we provide information about divorce and other family law issues for Tarrant County and Texas. Collaborative law, mediation and settlements in general are discussed. There is also some discussion of trial tips, but the emphasis is on practical information to get better results and lessen the pain often experienced as people work through the courts and legal system. We want you to know what to expect and how to be most effective. You may have friends who did their own divorce. You figure, if they could do it, so can you. Or you may think you don't have much, so why hire an attorney? Maybe you don't like attorneys. Maybe you don't have a lot of money to spend on attorneys. Or you have researched online and discovered forms. You're pretty sure you can do your own paperwork and handle your own divorce for next-to-nothing. Maybe, maybe not. While I am a divorce attorney and probably have a bias, I can tell you I discourage a number of possible clients from hiring me. I always want to be sure that the parties have tried (with professional help) to work things out. I also don't want someone to hire me if it will cause a financial strain. Should you hire an attorney? I would say yes, if any of the following are true in your case. 1. There is a disagreement on how to share time with the kids. Or, where they should live or go to school. This issue takes people to the courthouse. 2. There are retirement assets to divide. It can be very complicated and someone may lose out on a lot of future income when they really need it. Plus, some people may not even realize what they are entitled to. b. How much should each party get from the house? c. Can you get 1 name off the deed and mortgage? d. Does the house need to be sold? e. How to pay off the party leaving the house. 4. If someone wants or needs alimony. How much can they get and for how long? Can a spouse avoid having to pay alimony? 5. You can't agree on the amount of child support to be paid or the non-custodial parent wants to pay no child support. 6. You can't agree on how to divide the debt. 7. One party fears for his or her safety. If any of these issues exist in your divorce situation, you should not try to get your divorce without the help of an experienced Family Law attorney. These are not simple issues and they can have a major impact on the rest of your life. Since 2000, Collaborative Law has been my preferred method of problem solving. I have practiced law for over 30 years and am a Board Certified Specialist in Family Law. I have found that most people want to get through the legal system with their dignity intact, end up with the best terms they can work out (not expecting to win everything) and without much fighting. While some people are able to work out most or all of their issues and just need a little help getting things wrapped up, others need help in creating new solutions and many prefer doing so in a private and respectful manner. Collaborative Law is a great way for people to work together and creatively solve problems. Almost no cases actually go to trial, so ultimately most parties need a strong, creative and effective negotiator who is comfortable in mediation as well as informal direct negotiations. More information about dispute resolution approaches and what to expect as your family law matter proceeds is available on our website at www.pricelawfirmtx.com. The Price Law Firm, 307 W. 7th Street, Suite 1905, Fort Worth, TX 76102. 817-338-4633. The information contained in this blog is for informational purposes only and is not legal advice. Nothing in this blog should be deemed to create or constitute an attorney-client relationship between any readers and this firm. An attorney-client relationship is created only when this firm agrees to represent someone and a written employment agreement or engagement letter is signed by both the client and attorney. In all cases, the reader should consult his or her own attorney for advice. The information in this blog is based on Texas law and practice in Tarrant County, Texas courts.